“Since 1741” isn’t an unusual claim in New England. Except when it applies to an orchard. 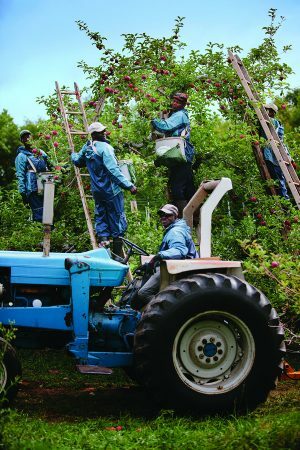 Even more remarkable, Lyman Orchards has been under the stewardship of the same family for over 275 years. The original John Lyman started with 36 acres in the beautiful Connecticut River valley near Middlefield, Connecticut. Over the next two centuries the family plied many industrious pursuits, including manufacturing clothes wringers and gunsights, and raising livestock. The farm is reputed to have been a stop on the “underground railroad” sheltering runaway slaves on their way north. By the early 1900s the farm had expanded to include 800 acres of peaches, and thousands of lambs. Dairy cattle were added later, and after a terrible freeze in 1917 destroyed most of the peach trees, many were replaced with apple trees. Today the orchard is again in the capable hands of a John Lyman. 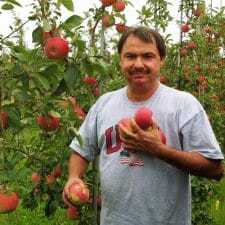 John (the eighth generation) grew up on the farm, working in the family produce and baked goods store. 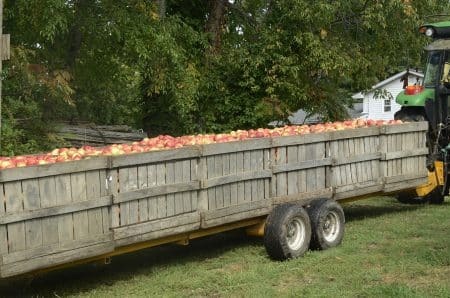 After college, he worked on an apple farm in Holland, learning progressive growing techniques that he brought back to Connecticut, increasing both variety and productivity in the orchard. 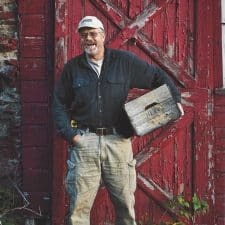 Best of all for anyone lucky enough to live in the region, he has developed a thriving crop of tree-ripened peaches, nurtured in the unique micro-climate of the Connecticut River valley. 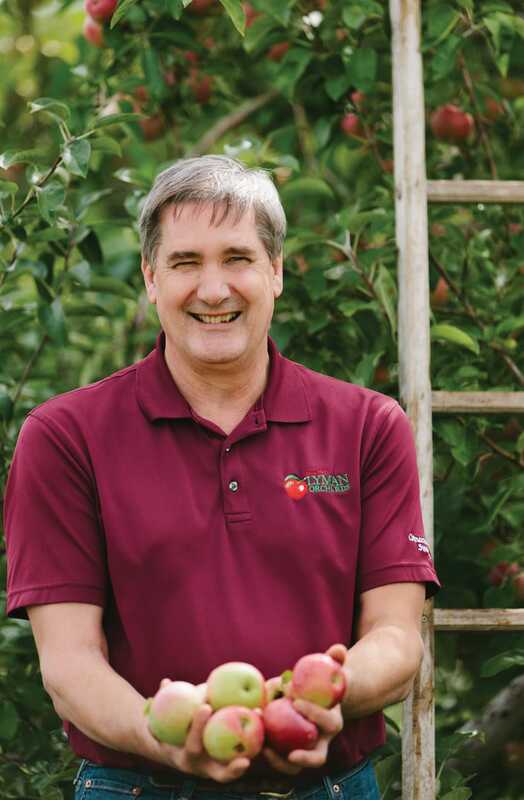 John’s knowledge and careful tending result in the kind of juicy, flavorful peaches that were common to this area until the early 1900s, but now are assumed to grow only in southern climates. The five-week peach season is “short, but very very sweet”—the peaches go from the farm to their retail customers the same day they are picked. Your generous donation helps support our work! Shop Red Tomato related products.